Girls' night out. Painting, drinking and dining. 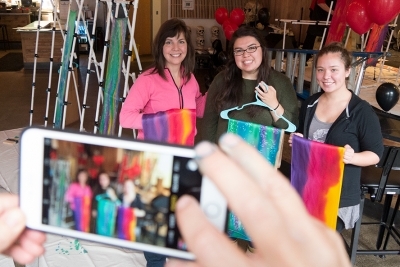 Paint a Scarf brings silk painting to local restaurants. It takes an hour to train and paint, then an hour to dry and dine. 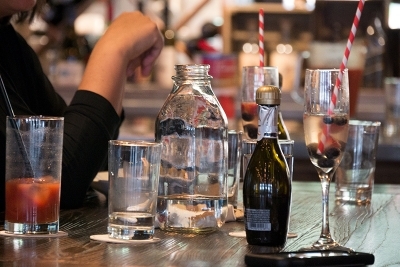 Paint with friends – then purchase dinner and drinks at our host establishment. It’s the perfect girls’ night out. Choose from four different designs and ten beautiful colors – including our color of the month. Meet your host artist. 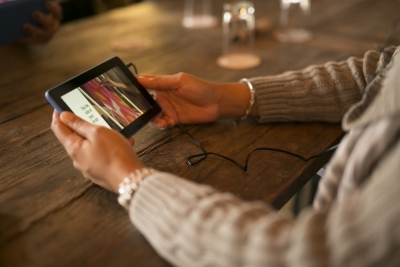 She’ll get you checked in and hand you a tablet computer so you can watch our training video. In just 10 minutes you’ll learn how easy it is to paint a scarf. Our artist-in-chief shows you how to create a piece of wearable art. At Paint a Scarf you choose from four easy-to-paint designs. Pick up your paints, your skill card and brushes. Once that brush touches the silk you’ll be hooked. Each stroke is easier than the last. We help you every step of the way. Lucky for you it takes an hour for your scarf to dry. Use that hour to order dinner and drinks with friends. Once your scarf is dry it’s ready to be modeled. Snap a few photos and post them to social media to prove you really are an artist. 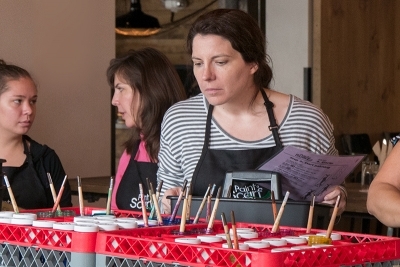 Mothers, daughters and grandmothers paint together at PUB. Minors can paint as long as they’re accompanied by a parent. 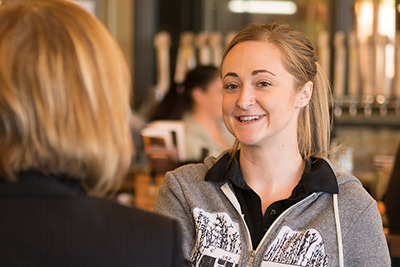 We keep our groups small and schedule them throughout the evening, so you get the individualized attention you deserve. Why should everybody have to paint the same picture? This is the USA. We LOVE choice! 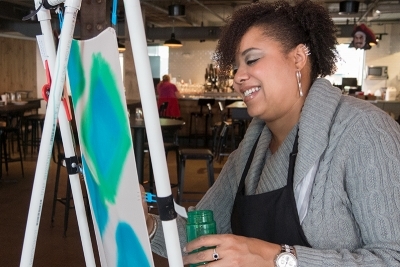 At Paint a Scarf PUB you can choose from four easy-to-paint designs. No two scarves ever come out the same. Paint at your own pace. Don’t worry about falling behind. Your instructions are clipped to the side of the painting rack. You’re not confined to a chair for 2 hours. Get up and move around. Order something from the bar. Silk scarf painting is quick and easy. Finish your scarf – then spend some quality time with friends in the restaurant. Wear it. Give it. Hang it. Wear them as garments. Give them as gifts. Decorate with them. Honestly – can a woman have too many scarves? We schedule sessions in 60 minute intervals. Choose the time that works best for you. Honestly – you can’t mess these scarves up. Water, gravity and salt do the work for you. Just follow the instructions on your Skill Card. C’mon. Give it a try.